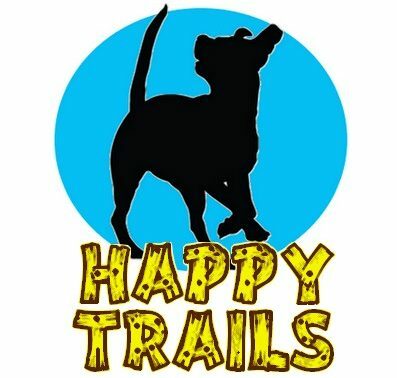 Happy Trails Animal Rescue is a 501c3 Non Profit Animal Rescue Group located in the Central Florida area. After five years of rescuing and rehabilitating dogs in need from local area shelters, we started to realize that we have to get to the source of the issue rather than trying to clean up the mess. We are in the process of opening a brand new Community Resource Center for pet owners in Orange, Osceola and Seminole counties that will provide free training assistance, educational programs, youth programs, free vaccine clinics, a pet food pantry, low cost spay and neuter, free grooming, and other assistance. Our mission is to educate and provide assistance to pet owners in an effort to create a better community for the animals in Central Florida and help reduce overpopulation and keep existing pets in their homes. As always, we will still be taking in and rehabilitating shelter dogs in need and appreciate all of the support we have received from Central Florida in our rescue endeavors. My name is Erin Swilley and I was born and raised in Central Florida. From a young age I was involved in rescue, shadowing my amazing grandmother as she assisted a local rescue in saving animals of all shapes and sizes – from domestic pets to wildlife! Early on I knew my true love was dogs! By the time I was thirteen years old I had read every single book in the Osceola County Library System pertaining to dogs. I was especially fascinated with training – I taught my first dog, Leonard, to do over 50 commands and to do scent work and agility; all before graduating high school! I have continued to advance my education on dog behavior and rehabilitation – through reading a large variety of books, taking classes on dog training, and the hands on knowledge I have gained working along side some amazing trainers rehabilitating our rescue dogs. I have an A.S. degree in Small Business Management from Seminole State, a Bachelor’s in Business Information and Technology from Seminole State, and I am also pursuing a dual-enrolled Master’s Degree program at UCF in Non Profit Management and Public Administration. I do not receive a salary for my work with the rescue dogs – but the rewards I do receive are far better than anything money could buy. I am so honored to those of you who have traveled this journey with me – to everyone who has volunteered, donated, fostered, adopted or supported our cause in any way, THANK YOU for making my dreams come true! A special shout out to my own furry babies – Boots, my new kid; and Trooper, who was the worst feral dog I ever took in as a rescue, while trying to gain his love, he stole mine! Nicole Kozee DeGennaro, OTD, OTR/L is a graduate of the Nova Southeastern University’s Occupational Therapy Doctorate Program in Tampa. She is currently enrolled in the University of Florida’s veterinary shelter medicine master’s degree program, and has a bachelors from UF in Equine Science. She currently works at Select Physical Therapy as a hand therapist. Her passion throughout life has always been animals. She’s been fortunate to work with a large variety including training horses, and caring for species ranging from camels and bobcats to birds and dogs. Through discovering the world of OT she has found a way to not only help animals but to help people through animals’ powerful healing influence. In addition to her occupational therapy position, she teaches horseback riding lessons, is an avid rescuer and volunteer in many community/animal organizations and facilitates programs for emotional support animals and service dogs for veterans and civilians. It is her passion and goal to not only save animals, but to utilize their abilities to increase individuals’ independence and overall quality of life for people in need.